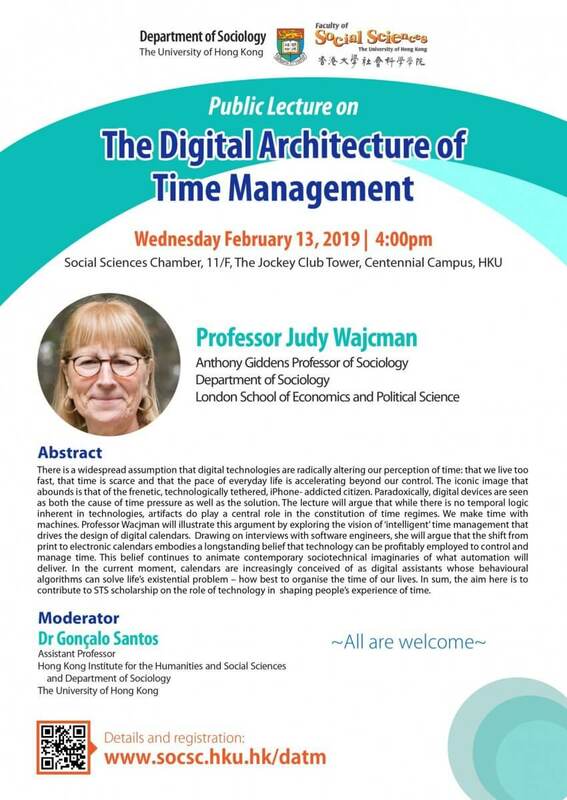 Judy Wajcman is the Anthony Giddens professor of sociology at the London School of Economics, and a visiting professor at the Oxford Internet Institute. She has published widely on the social shaping of technology, work and employment, and gender theory. Recent books include Pressed for Time: The Acceleration of Life in Digital Capitalism (Chicago, 2015) and, with N. Dodd, The Sociology of Speed: Digital, Organization, and Social Temporalities (OUP, 2017).